Czech stance towards the US decision to withdraw from the INF Treaty – Longterm Perspective for Defence 2035 acknowledged by the National Security Council with focus on development of the heavy mechanized brigade – Czechoslovak Group’s and Tatra Trucks’ companies will be present at IDEX 2019, one of the world's largest defence technology trade fairs. Prime Minister Andrej Babiš expressed regrets over the US decision to withdraw its obligations under the Intermediate-Range Nuclear Forces Treaty (INF Treaty; signed between the USA and the USSR in 1987 eliminating all land-based ballistic and cruise missiles and launchers with ranges of 500–1,000 kilometers - short-range - and 1,000–5,500 km - intermediate range). Prime Minister said the world faces too many global problems to return to the era of the Cold War. Several allegeded violations of the INF Treaty occured during the past years, either in relation to the defensive NATO missile system, development and testing of new cruise missiles or use of unmanned aerial vehicles. As NATO member the Czech Republic has repeatedly called on Russia to adhere to its obligations under the INF Treaty. On 4th February the National Security Council discussed and acknowledged a "Longterm Perspective for Defence 2035" document. 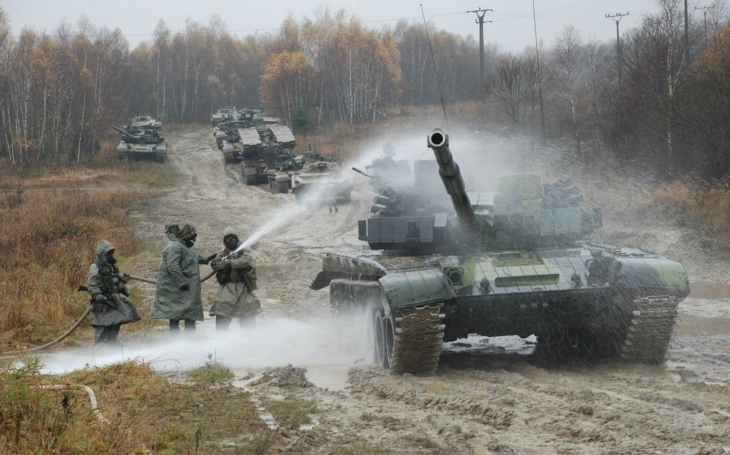 Compared to the past the focus changes from the light units to the heavy mechanized brigade development, with the major projects of the Infantry Fighting Vehicles and Self-Propelled Artillery purchase, and also replacements for the current Main Battle Tanks. Another important question rises concerning the Fighter Jet aircraft: JAS-39 lease ends in 2027. The National Security Council is a standing body of the Government responsible for coordinating the Czech Republic’s security issues and preparing draft measures to ensure the country’s security. From 17th to 21st February, Abu Dhabi, United Arab Emirates, will host one of the world's largest defence technology trade fairs: IDEX 2019. Among the exhibitors there will be companies of the Czechoslovak Group (CSG) holding and also Tatra Trucks, which is closely linked to the group. Stands CPC 410 and CP-420 will host Excalibur Army, Tatra Trucks, Retia, as well as MSM Group representing the Slovak section of the Czechoslovak Group holding. Excalibur Army will unveil the BM-21 MT 4x4 rocket launcher on the Tatra Force chassis, which uses the proven and wide-spread GRAD 122 mm launcher. Tatra Trucks will unveil the new Tatra Tactic 4x4 medium truck. Retia will introduce its new ReGUARD radar a multi-purpose 3D radar for the detection and simultaneous tracking of ground targets and slow-moving low-flying targets with small reflective surfaces.